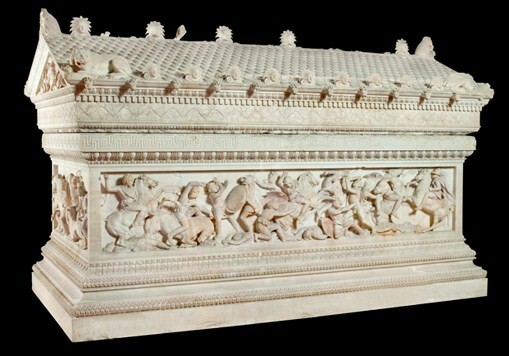 The Alexander Sarcophagus is considered as the most important artifact in the İstanbul Archaeological Museums. It was found in the Royal Necropolis in Sidon in 1887. 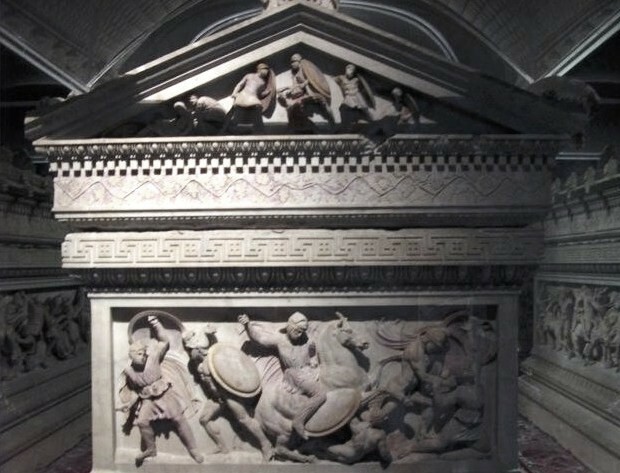 Though it is called the Alexander Sarcophagus, in fact, it does not belong to Alexander the Great. It is thought to be the sarcophagus of Abdalonymus, the king of Sidon. .
On the front side of the sarcophagus, Alexander is shown on his horse. 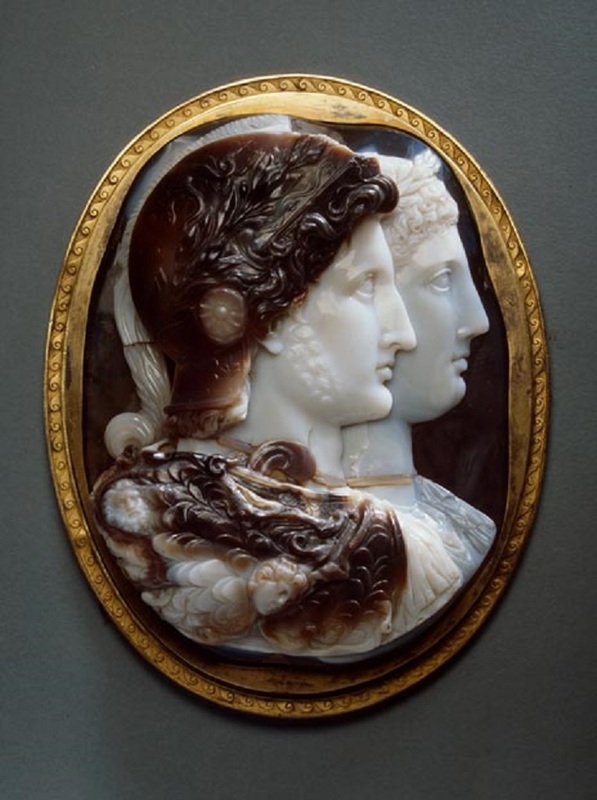 Since Alexander claimed descent from Heracles, he is depicted with the skin of the Nemean Lion on his head. 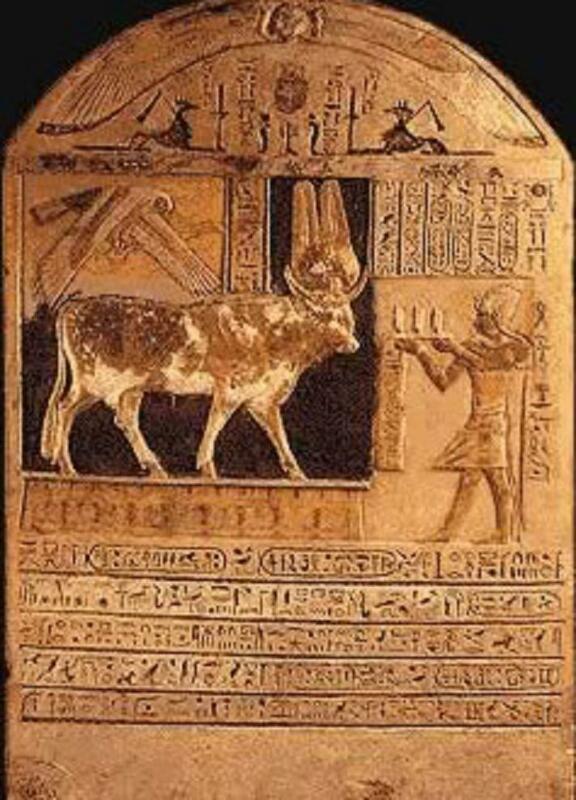 Additionally, next to his ear, a ram horn, the symbol of the Egyptian god Amun is seen. Because of this depiction on the sarcophagus, it was named after Alexander. 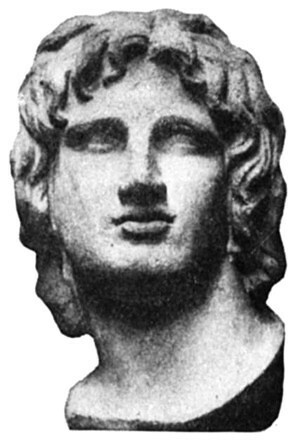 In fact, Alexander the Great died in Babylon and his body was transferred to Alexandria. It is known that his sarcophagus was an anthropoid one. On one of the long sides of the sarcophagus, there is a scene of battle between Persians and Greeks. Greek and Persian soldiers can easily be distinguished thanks to their outfits. Greeks have short tunics or cloaks, whereas Persian soldiers, who had to cover all parts of their bodies excluding their faces and fingers, wear trousers, more than one long-sleeved shirts and tiaras covering their heads. The scene of battle is thought to represent the Battle of Issus, won by Alexander the Great in 333 BC and opened the doors of Phoenicia and Syria. As a result of this battle, the fate of Abdalonymus, who is thought to be the owner of the sarcophagus, changed and he became the king of Sidon after a while. Two hunting scenes are depicted on the second long side of the sarcophagus. It is known that hunting with horses and carriages was usual for Near Eastern civilizations and that Alexander the Great participated in such events in Phoenicia. 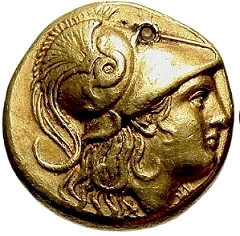 It is accepted that Alexander’s aim was to establish a Greek-Persian empire through uniting Eastern and Hellenistic cultures after conquering Iran. Towards the end of his life, he married a Persian princess, started to wear Persian clothes and accepted Persian dynastic customs. The Persians and Greeks who friendly hunt on one side of the sarcophagus should be considered within this perspective. 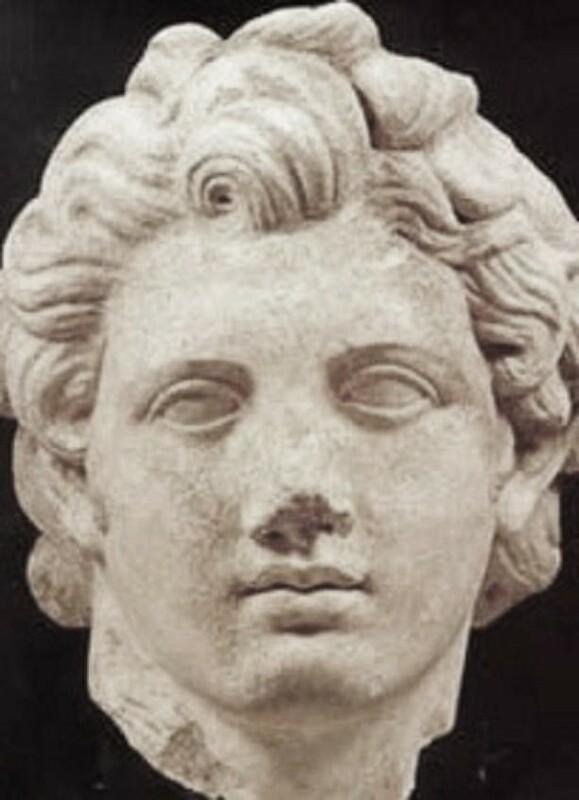 It is known that after defeating Darius III in Issus, Alexander the Great passed through the Amanus Mountains and entered Syria following the Mediterranean shores. The people of Sidon, who disliked the Persian administration, opened the doors of the rich cities to the Macedon army and asked Alexander the Great to choose a king for them. 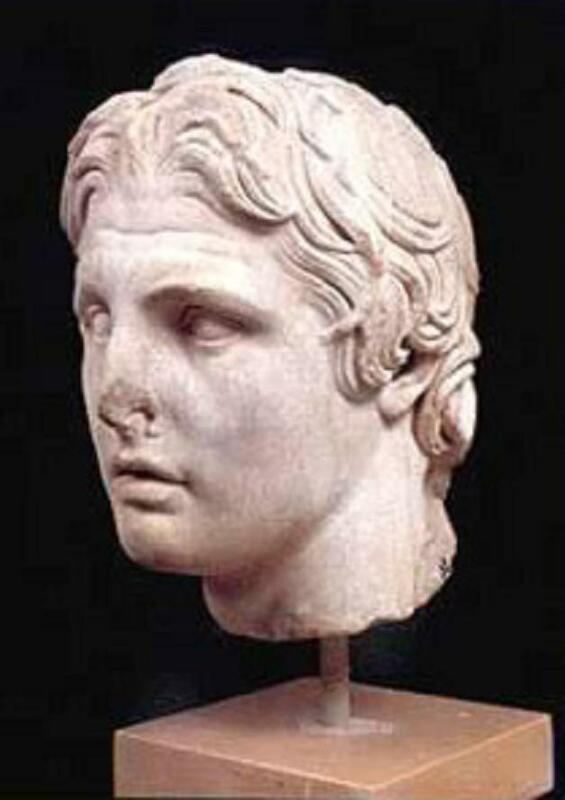 Alexander, who had no time to choose a king for Sidon, gave this job to Hephaestion. He found Abdalonymus, who was a distant relative of the royal dynasty of Sidon but who had a quiet life in the country until chosen as the king. The name of Abdalonymus means “servant of gods” in Persian and the Alexander the Great and Hephaestion depictions were therefore added to the sarcophagus ordered by him. When the carvings are analyzed, it is understood that those who made this sarcophagus were masters of the Eastern art of decoration. The upper row of the acroter consists of eagles, partially with no remains other than pieces of wings, and women heads. In the Ancient Syria, it was believed that eagles were birds carrying the souls of dead people to heaven. Nine smaller women heads that line up at the bottoms of each of two sides bring the mother goddess worshipped since the prehistoric periods of Anatolia and Mesopotamia to mind. Upper acroters of the both pediments are decorated with Persian griffins and herbal figures. At each of the corners of the pediment, a lion is placed as sarcophagus protectors. Those lions with thin necks and small bodies, which resemble dogs, are elements belonging to the Ionian art. Both the body and the cover of the sarcophagus is made of the same kind of marble. The carvings on the sarcophagus are so fine that it is thought that this artifact should have been made in Sidon since it would have been too dangerous to transfer such a work from Greece to Lebanon. There is no information about its sculptor. Painters of the sarcophagus should have been masters of their job as well. It seems that the eyes, eyelashes, lips and clothes were dyed in purple, yellow, blue, red and violet, and that the figures were slightly varnished.